Conducted by Paul Hillier, the album features the premiere recordings of two major works that dramatise key episodes in the life of Ludwig van Beethoven. The first of these, called simply Beethoven, sets that composer’s emotional epistle to his “Immortal Beloved” in a series of precisely depicted musical scenarios. The role of Beethoven is sung by the bass, Stephen Richardson, accompanied by Crash Ensemble. The companion Beethoven piece, Schott & Sons, Mainz, also uses the composer’s letters, but this time detailing the business dealings with his publishers concerning the Ninth Symphony. Beethoven is again represented by the same bass soloist, but now with chorus instead of instruments as his backing group, exploring a wide range of virtuoso choral techniques. Both pieces demonstrate Beethoven’s force of character, as well as his deepest thoughts, emotions and beliefs. Featuring Crash Ensemble alone – First Sorrow, a string quartet in which the players also sing, is inspired by Kafka’s discriminating short story about a hypersensitive trapeze artist. The recording also offers a selection of unaccompanied choral pieces performed by Chamber Choir Ireland. O Lord, how vain is a psalm-setting, with delicate dissonances and whistled ritornellos; The Coming of Winter features a 9th-century Irish poem, heard both forwards and backwards; while Long Time gives us the opening of Proust’sRemembrance of Things Past, in a helter-skelter of C major scales, both up and down. 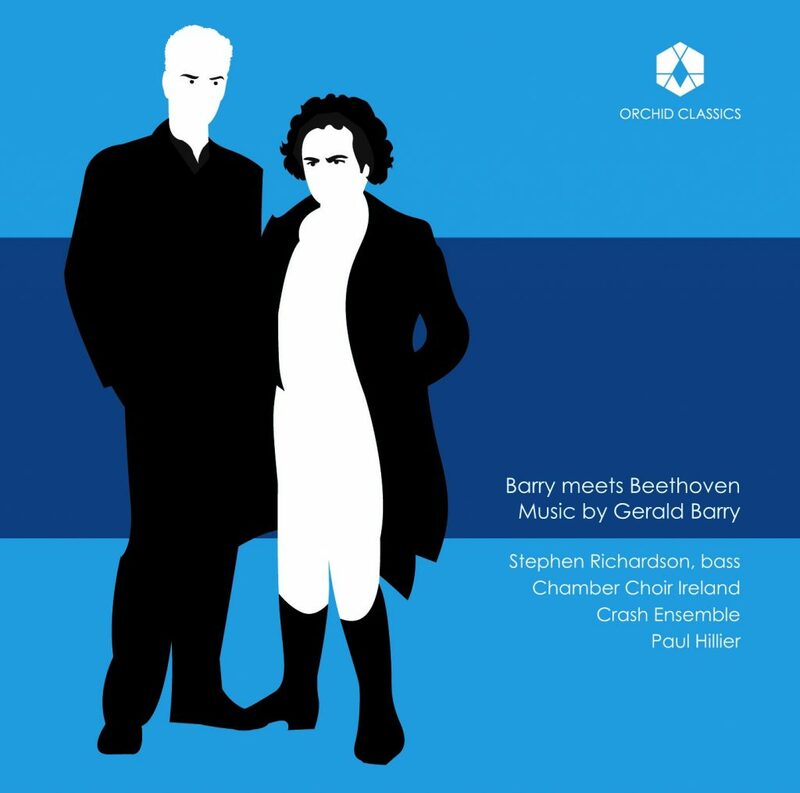 Gerald Barry’s musical personality is not entirely unlike Beethoven’s: sure of itself, demanding of its interpreters, difficult to perform, riddled with ecstatic complexities and unexpected humours. His works have been performed by major orchestras and ensembles all over the world, while his recent opera, The Importance of Being Earnest,has confirmed him as a riveting voice of unique qualities. Price €18 (including postage and packaging). Our web-only pricing of €18.00 includes postage and packaging. If your shipping address is outside the Republic of Ireland, your country may charge you an import duty which Chamber Choir Ireland cannot be responsible for.